Nuarsa I Wayan, Susumu Kanno, Yasuhiro Sugimori, and Fumihiko Nishio. 2005. Spectral Characterization of Rice Field Using Multi-Temporal Landsat ETM+ Data. 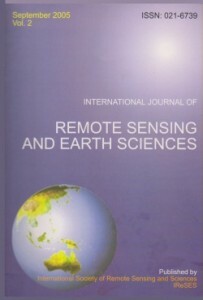 International Journal of Remote Sensing and Earth Science, (2):65-71. Nuarsa I Wayan, Sandi Adnyana I Wayan, Yasuhiro Sugimori, Susumu Kanno, and Fumihiko Nishio. 2005. Development of the New Algoritm for Mangrove Classification. 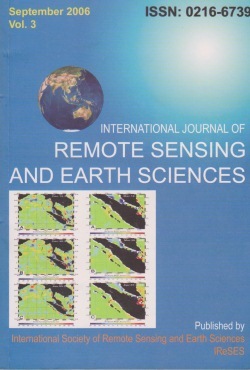 International Journal of Remote Sensing and Earth Science, (2):57-64. 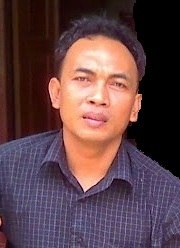 Gede Hendarawan, I Wayan Nuarsa, I Wayan Sandi, A.F. Koropitan, and Yasuhiro Sugimori. 2005. Numerical Calculation for the Residual Tidal Current in Benoa Bay-Bali Island. International Journal of Remote Sensing and Earth Science, (2):86-93. Takahiro Osawa, ChangFang Zhao, I Wayan Nuarsa, Swardika I Ketut, and Yasuhiro Sugimori. 2005. Vertical Distribution of Chlorophyll on Neural Netwaork. International Journal of Remote Sensing and Earth Science, (2):1-10. Takahiro Osawa, ChangFang Zhao, I Wayan Nuarsa, Swardika I Ketut, and Yasuhiro Sugimori. 2005. Study of Ocean Primary Produstivity Using Ocean Color Data Around Japan. International Journal of Remote Sensing and Earth Science, (2):12-18. Susumo Kanno, Yasuo Furushima, I Wayan Nuarsa, and I Gede Henrawan. 2006. A New Approch for the Tsunami Prediction Using Satellite Altimtry: Trials for Aceh Tsunami Events in 2004 and 2005. International Journal of Remote Sensing and Earth Science, (3):31-40. Susumo Kanno, Yasuo Furushima, I Wayan Nuarsa, I Ketut Swardika, and Atsushi Ono. 2006. Estimation of Tuna Fishing Ground In Low Latitude Region Using Sea Surface Height Gradient Derived From Satellite Altimetry: Application to Northeastern Indian Ocean. International Journal of Remote Sensing and Earth Science, (3):59-79. I Wayan Nuarsa and Fumihiko Nishio. 2007. Relationships Between Rice Growth Parameters and Remote Sensing Data. 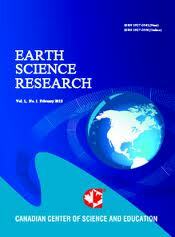 International Journal of Remote Sensing and Earth Sciences, (4):102-112. I Wayan Nuarsa, Fumihiko Nishio, and Chiharu Hongo. 2010. Modification of Input Images for Improving the Accuracy of Rice Field Classification Using MODIS Data. 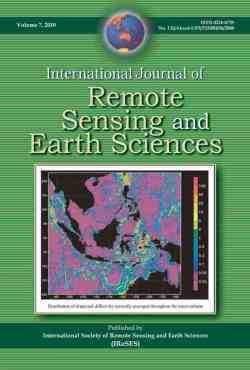 International Journal of Remote Sensing and Earth Sciences, (7):36-52. I Wayan Nuarsa, Fumihiko Nishio, and Chiharu Hongo. 2011. 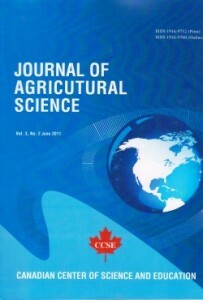 Spectral Characteristics and Mapping of Rice Plants Using Multi-Temporal Landsat Data. Journal of Agricultural Science. 3(1): 54-67. I Wayan Nuarsa, Fumihiko Nishio, and Chiharu Hongo. 2011. Relationship between Rice Spectral and Rice Yield Using Modis Data. 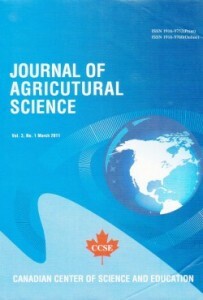 Journal of Agricultural Science. 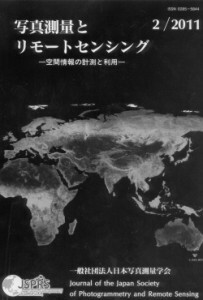 Vol 3(2): 80-88. I Wayan Nuarsa, Fumihiko Nishio, and Chiharu Hongo. 2011. Spectral Characteristic Comparison of Rice Plants under Healthy and Water-Deficient Condition Using Landsat ETM+ Data. 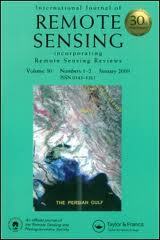 Journal of The Japan Society of Photogrammetry and Remote Sensing. 50(2): 66-79. I Wayan Nuarsa, Fumihiko Nishio, and Chiharu Hongo. 2012. Rice Yield Estimation Using Landsat ETM+ Data and Field Observation. 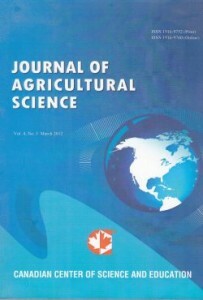 Journal of Agricultural Science, 4 (3):45-56. I Wayan Nuarsa, Fumihiko Nishio, Chiharu Hongo, and I Gede Mahardika. 2012. Using variance analysis of multitemporal MODIS images for rice field mapping in Bali Province, Indonesia. 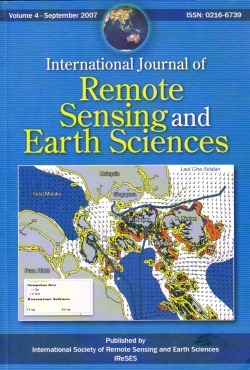 International Journal of Remote Sensing. 33(17):5402-5417. Ida Ayu Gde Kurnia Jayanti, Takahiro Osawa, I. Wayan Sandi Adnyana, Tasuku Tanaka, I. Wayan Nuarsa, Abd Rahman As-syakur. 2012. Multitemporal MODIS Data to Mapping Rice Field Distribution in Bali Province of Indonesia Based on the Temporal Dynamic Characteristics of the Rice Plant. Earth Science Research, 1(1):64-74. Abd. Rahman As-syakur, I Wayan Sandi Adnyana, I Wayan Arthana, and I Wayan Nuarsa. 2012. Enhanced Built-Up and Bareness Index (EBBI) for Mapping Built-Up and Bare Land in an Urban Area . Remote Sens, 4(10):2957-2970. Abd. Rahman As-syakur, I Wayan Sandi Adnyana, Made Sudiana Mahendra, I Wayan Arthana,d I Nyoman Merit, I Wayan Kasa, Ni Wayan Ekayanti, I Wayan Nuarsa, and I Nyoman Sunarta. 2014. Observation of Spatial Patterns on the Rainfall Response to ENSO and IOD over Indonesia Using TRMM Multisatellite Precipitation Analysis (TMPA). 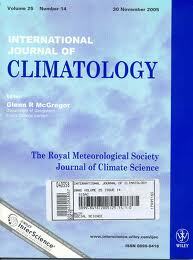 International Jounral of Climatology. DOI: 10.1002/joc.3939.